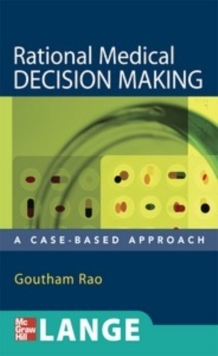 All the key principles of medical decision-making-in one compact, case-based guide "The book provides a comprehensive overview of many core principles in research design and analysis. 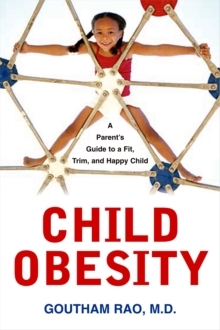 It is logically organized, with clear learning objectives at the beginning of each chapter and pertinent examples to illustrate key concepts. The author does a wonderful job of simplifying a subject that has caused much confusion for many medical students and physicians....This is a book that I would enthusiastically recommend to other medical students. 5 Stars!" 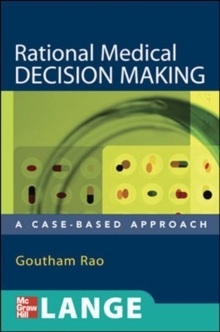 --Doody's Review Service Rational Medical Decision Making: A Case-Based Approach is a hands-on text that clarifies the process of evidence-based medical decision making like no other source. Following the trusted LANGE format, this portable volume is ideal for learning the fundamentals of evidence-based medical practice and skills.